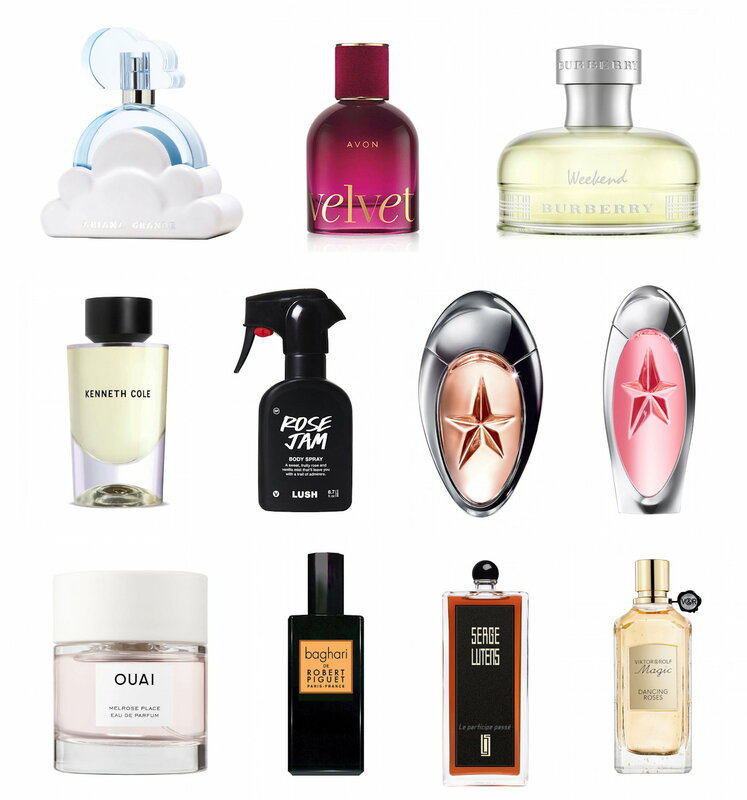 It’s been a long time since I last posted, but I didn’t want to pass on International Fragrance Day, because fragrance is what I have been utterly infatuated with over the last year! Our family only just returned from a mini-vacation in Montréal (well, a holiday with a two year-old and a four year-old is not really a holiday, is it?!) and of course I did pick up a new perfume. Gotta love the $19.99 perfume shelves at Shoppers Drug Marts—Pharmaprix in Québec—and Rexalls! Today, I’m going to do a very quick ‘n’ dirty roundup of my 10 new favorite perfumes, and 10 favorite new blind buys that I’m most excited to try out. 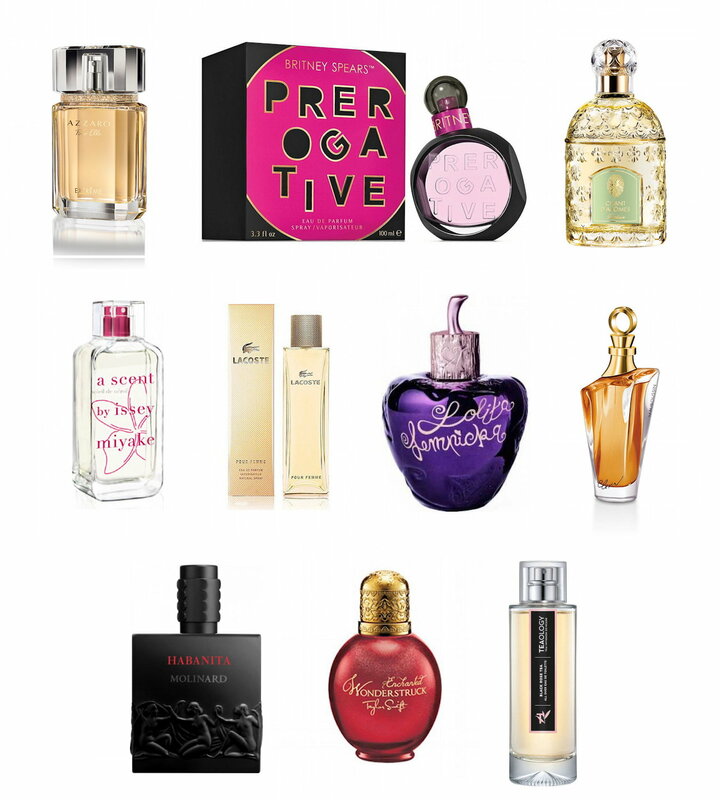 If pressed, I’ll say my current five favorites of these are: Molinard Habanita EDP, Viktor & Rolf Dancing Roses, Serge Lutens Le Participe Passé (not very wearable, but I adore it), OUAI Melrose Place (not mind-blowing, but very pretty and wearable), and Mugler Angel Muse EDP. I’ll aim to do mini-to-full reviews of all of these and more in the upcoming months. We did very much! I think we turned it into more of a foody trip than a sightseeing one, though. Hahaha! Pretty cold outside, and we just missed the Insectarium before it closed for a 2-yr renovation. I looooove Velvet Teddy! It’s perfect for this season. I had no idea there was an international fragrance day! The packaging for the ariana grande perfume is so cool! I definitely want to try products from ouai! I’m obsessed with Melrose Place! It has become my new signature scent and I always get a ton of compliments on it. Isn’t it fantastic?! 😀 I really want to pick up another one or two of the OUAI scents during the next Sephora sale.